Operators benefit from the large 10.4 inch HD monitor offering clear visibility, easy use and control. The Flat-top beam provide allows this Alexandrite Laser Machine to irradiate equal energy levels to deliver optimal results. Benefit from greater laser accuracy with more spot sizes from 2mm - 20mm which are automatically recognized by the system for user convenience and safety. Utilize a HD Camera, built in with sub-monitor to identify lesions that are less visible to the naked eye in real time. The Single Accento Alexandrite Laser includes a hard drive that saves over 400+ treatment protocols for easy recall and setup. The Single Accento Alexandrite Laser is a very advanced 755nm Long Pulse laser due to it's ability to deliver a wider range of power, speed, pulse duration, range of spot sizes and cooling methods vs. today's leading and most expensive alexandrite laser systems. The Single Accento is also an affordable Alexandrite laser for any business, and can be acquired and serviced for a fraction of the cost. If your business, practice, med spa or hospital group is looking to buy, rent or lease an Alexandrite 755nm wavelength laser, the Single Accento is an excellent option. Contact MedLaser USA today to begin adding professional laser treatments for your business today! Buy the most affordable Alexandrite laser for hair removal. The Single Accento is effective 755 nm laser built to outperform the most popular and expensive 755nm long pulse lasers in the industry. 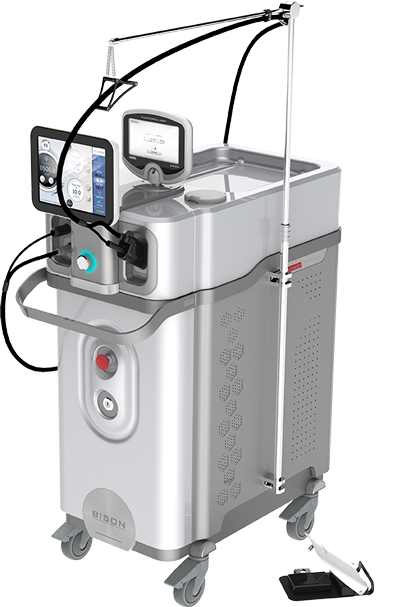 The Single Accento offers more speed, power, and spots sizes than comparable Alexandrite laser systems designed for pigmentation and laser hair removal with built in cooling. The Single Accento delivers the fastest speeds in the industry, at 10 hz for any Alexandrite 755nm long pulse. Where comparable systems are only able to perform at speeds between 1-3hz, the Single accento delivers about 20% more power with speeds up to 5-10x faster than substantially equivalent long pulse lasers than have six figure price tags. Perform fast laser hair removal treatments with the Single Accento Laser Hair removal machine. The Single Accento is built on advanced technology to deliver the fastest speed, energy, pulse duration, and cooing for deeper penetration and optimal results. The Alexandrite laser is gold standard technology with years of clinical studies supporting evidence of safe and effective treatments for laser hair removal, toning, and more. Benefit from variable spot sizes and pulse widths for laser hair removal and allow for complete customization of procedures based on client hair and skin types. The wavelength of 755nm alexandrite laser is highly absorbed by melanin, and is very poorly absorbed by water and oxyhemoglobin, to the 755nm is highly selective solution to treat melanin without affecting neighboring chromophore. Alexandrite laser hair removal is with a wavelength of 755nm is known to be highly effective and to be a gold standard wavelength. It selectively damages the black melanin in hair roots that are located deep in skin where hair originates from, in order to suppress the recreation of hair. The 755nm Alexandrite is a specialty laser designed for the removal of pigmentation and and excellent solution for the permanent reduction of laser hair removal.